We ate a real breakfast at Billy's Back Home and returned to Sullivan's Island to explore Fort Moultrie. 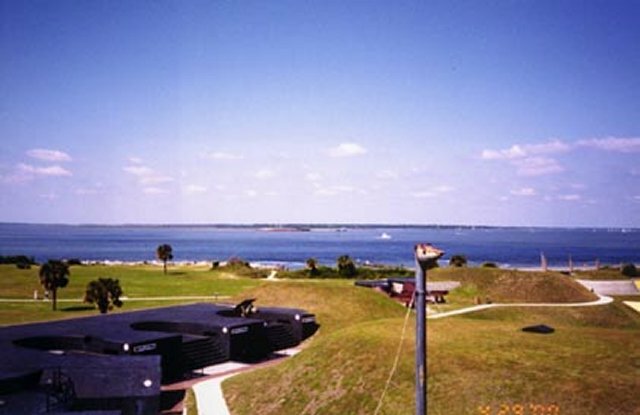 Fort Moultrie was still incomplete when it was attacked by 9 British warships on June 28, 1776. After a 9-hour battle, the ships were forced to retire. Charleston was saved from British occupation, and the fort was named in honor of its commander, William Moultrie. 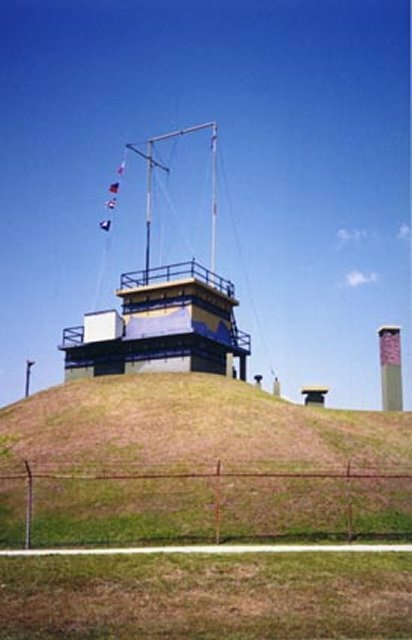 Fort Mountrie was in use through World War II. A nearby U.S. Navy communications facility is still in use today. 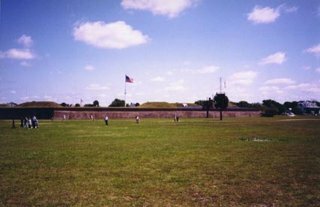 Fort Moultrie was originally built by raising two palmetto-log walls 16 feet apart and filling the space between with sand. The spongy palmetto and yielding sand readily absorbed shot and shell from the British ships and protected the American defenders. 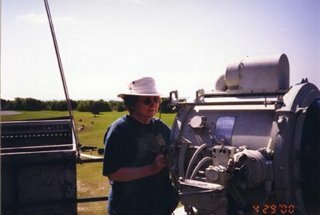 One of the batteries at the fort. Diana deep inside the walls of the fort. This is the entrance to one of the many ammunition bunkers within the fort. 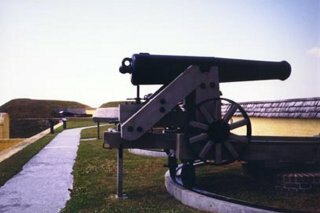 One of the many cannons at the fort. 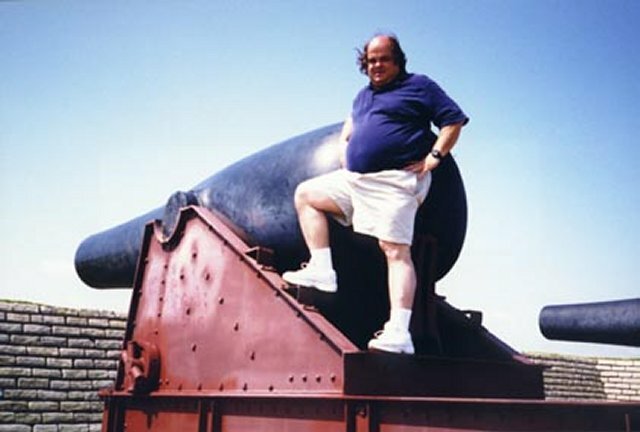 David posing with one of the larger cannons. 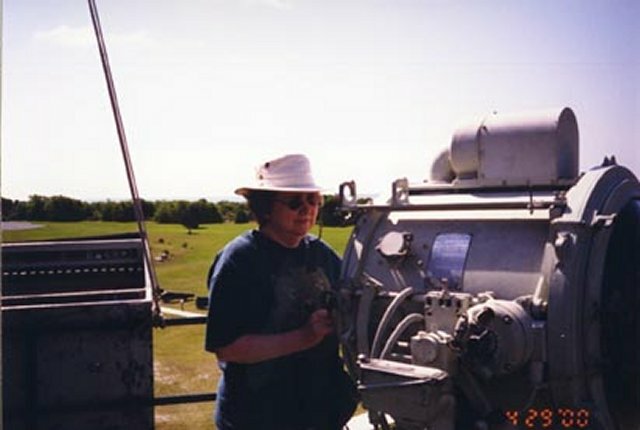 Diana is ready to select a signal flag. Diana says forget the flags, let's send a light signal. The Harbor Entrance Control Post used during World War II at Fort Moultrie. The signal flags spell out HECP. 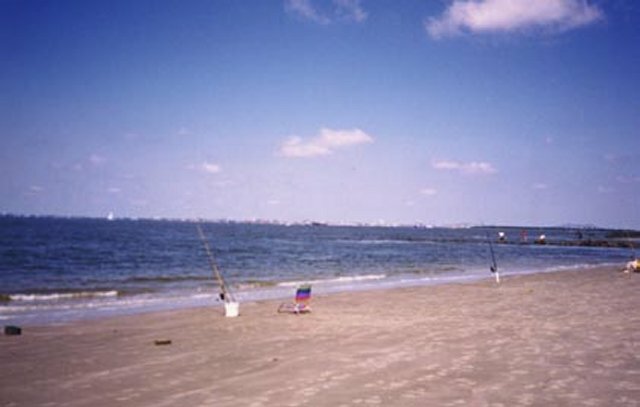 The beach on Sullivan's Island between Fort Moultrie and the ocean. 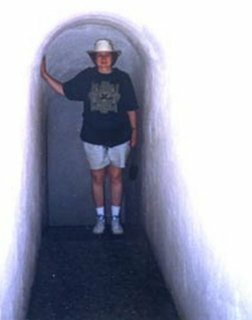 Fort Moultrie is much more interesting to visit than Fort Sumter. The only real attraction to Fort Sumter is that the War of Northern Aggression (aka Civil War) started there. The exhibits at Fort Sumter ignore its history other than the 1860's. 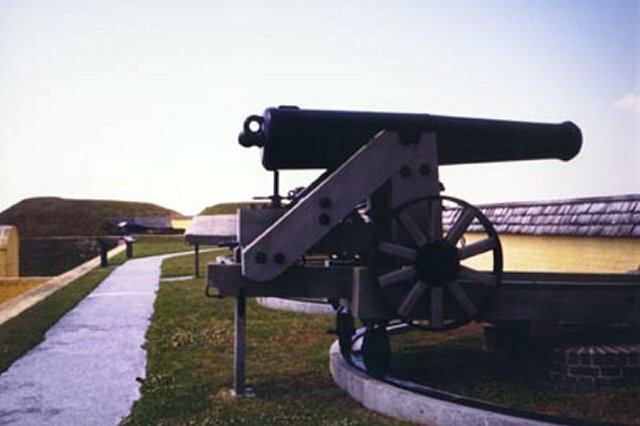 The exhibits at Fort Moultrie demonstrate weapons used at the fort throughout its history. 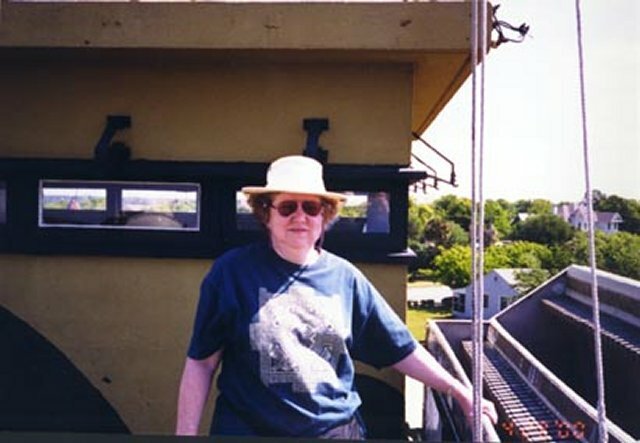 We spent 2 1/2 hours touring Fort Moultrie which is the same amount of time required to tour Fort Sumter but the Fort Sumter tour included two 50 minute boat rides with only 50 minutes in the fort. to this page since November 4, 2000. Last revised: November 05, 2000.